Apple has officially launched its iphone 4S in China but little did they know, the launch has became headline news for a very different reason. 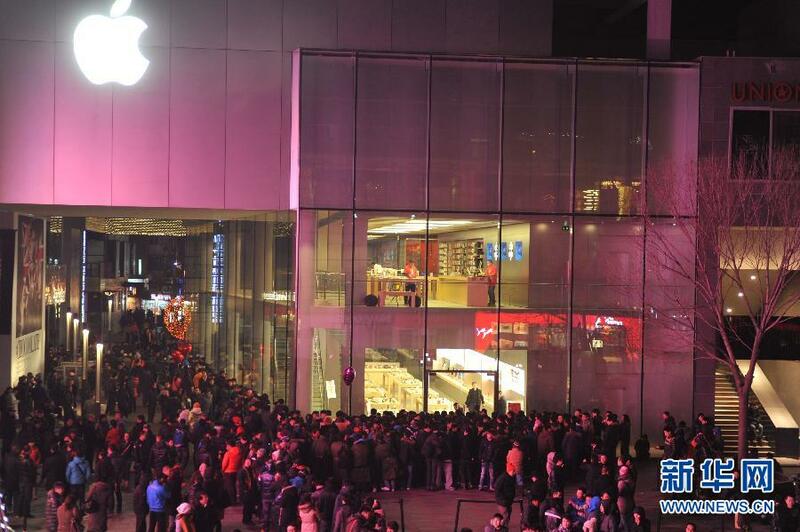 Apparently Apple suspended all its sales in China to protect their staff’s safety after fights broke out between shopper and staff. My mum always told me that an apple a day keeps the doctor away but I think she forgot to tell me that it can also cause a fight. Seas of people queued over night to get their hands on the gadget. 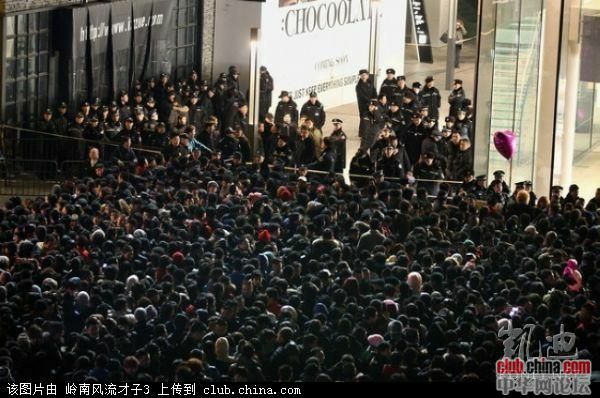 It has been reported in China that majority of people in the queue queueing are actually hired by others who are too busy or too lazy or too rich to queue. The hire price? 100 RMB which is about £10. I don’t know what you are thinking but I’m thinking the guy who took three days off from work, sat in a fold up chair in front of the Apple store in London so he could be the first in line to buy the handset. Oh dear, only if he thought of hiring someone to do the job, he would’ve saved himself from using public toilet and others mistaking him as a well dressed homeless person for three days. The people were hired mostly from the labour market and many of them doubles as film extras, what a bunch of multi-talented people. Another theory for people are being hired to queue is that they were hired by Apple staff. Since the staff knew that there would be a huge demand on the phone, too much demand, not enough supplies so they hired people to buy phones for them, then they can sell the phones on the black market for much higher price. Then some reporters came up with another theory, actually Apple company itself hired lots of people to queue to create the big buzz! I bet nobody’s predicted that the Apple iphone 4S’ launch madness in China would have more conspiracy theories than the assignation of JFK. My conspiracy theory for this is that aliens are the ones behind all this, be scared, be very scared people!